Ah, Ischia...you take our breath away. On Saturday, Bethann from Cafe Europa is visiting with bag full of vino italiano - and some new wines from the picturesque, heavenly island of Ischia, which is part of the Campania region. 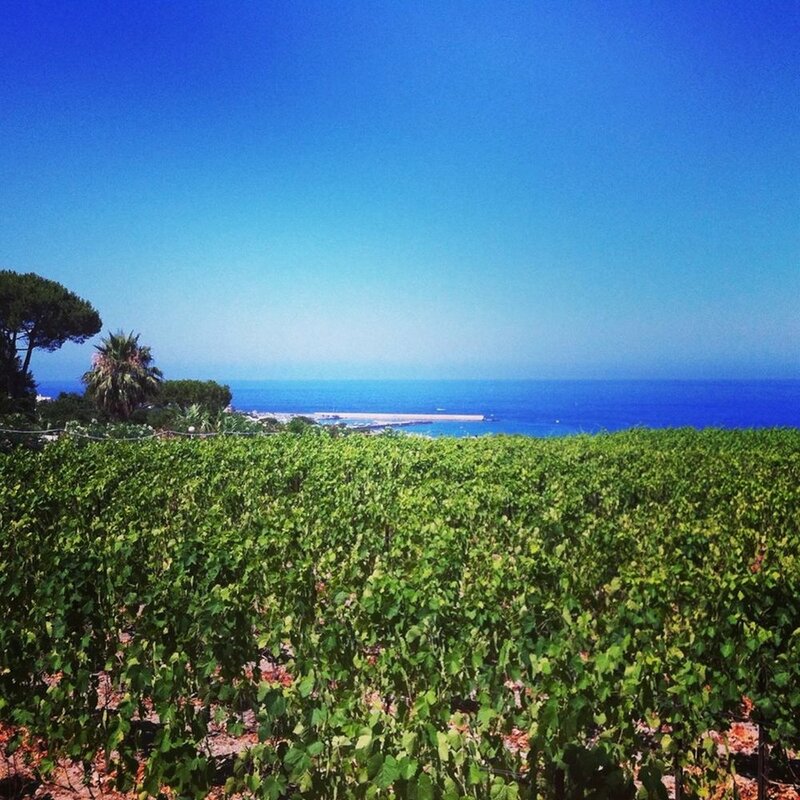 Viniculture is the very heart of Ischian life and dates back to Greek civilization in 700 BC. Ischia was later colonized by the Romans who named the island “Enaria”, meaning “Land of Wine” - now that’s my kind of island. Like, I’m packing my bags and my wine key, and I’m on a plane as I type this…Ciao a tutti! Just moving to the Land of Wine, nbd. Ischia’s mild Mediterranean climate, volcanic soil, tufa verde - a siliceous calcareous rock coming from volcanic eruptions - and sea breezes help create high quality grapes, especially around the hilly and mountainous areas of Mount Epomeo. La Pietra is an historical Ischian winery run by the Monti family and led by their fearless leader, Lucia, since 2008. Their 10.5 hectares of vineyards ranges from 250 to 450 meters above sea level, and they grow vines by the Guyot system (type of training and pruning of vines), and produce 100K bottles per year. The Monti family use organic viticulture and grow indigenous grape varieties to Ischia like Biancolella, which we'll taste on Saturday. 2016 La Pietra di Tommaso 'Biancolella Ischia' - Biancolella wine is refreshing and versatile with a hue of bright straw gold. Aromas range from rosemary and mint, to apricot and peach. On the palate the wine is dry with flavors of apricots and lemon. Pair with mussels, shrimp, and light pasta dishes. 2013 La Pietra di Tommaso 'Pithecusa Rosso' Epomeo - Pithecusa Rosso is made of 50% Aglianico and 40% Piedirosso and 10% Montepulciano grapes. The wine is aged for a year in wooden casks before bottling. The result is a ruby red hue, a nose full of violets and cherries, and the taste is dry with black fruit, tobacco and spice. Pair with steak, lamb or sheep cheeses.